Learn how to run band practice the smart way. Forming a band is pretty exciting. As a guitar player you spend a lot of time alone, practicing by yourself. When you get the chance to rehearse with a group it finally feels like all your hard work has paid off. Playing in a band is fun, but successful bands know how to rehearse correctly and make the most of their practice time. Otherwise, they never make it out of the garage or basement. A successful band isn't necessarily one that makes it big. 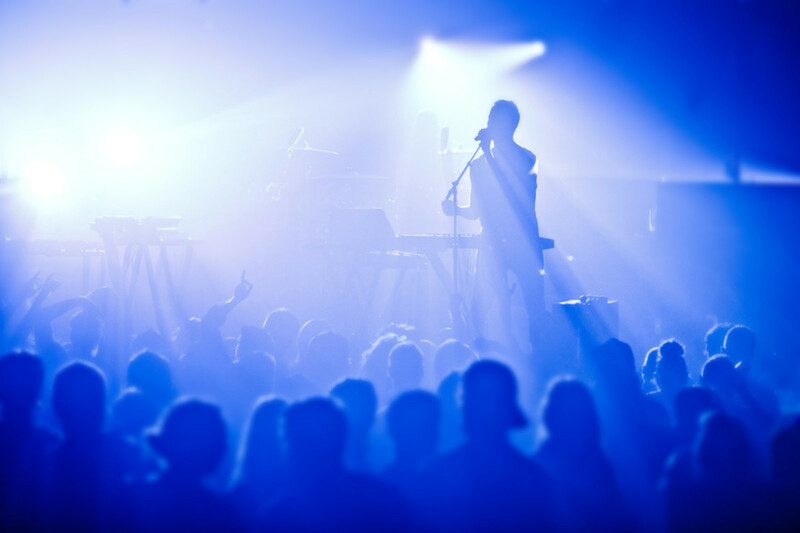 Your goal may be to perform in local clubs as a cover band, to write original material or just to have some fun. If you want to reach those goals you need to have a plan, and that plan must include a logical practice routine. In this article you'll read about what I think are the most important band rehearsal tips. If you take them into consideration they'll help you run band practice more efficiently and get more done. 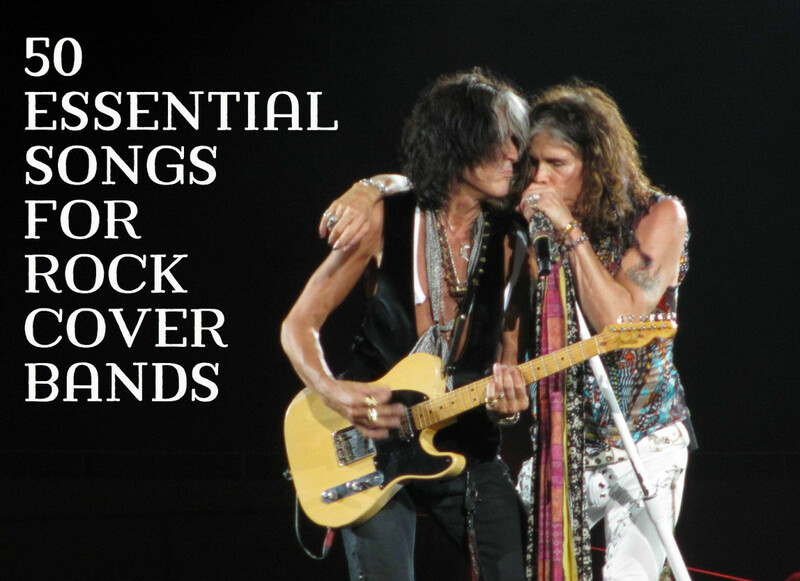 These are tips I've learned in my time playing in original rock bands, cover bands, weekend-warrior garage bands and even acoustic duos. Some of these lessons were learned the hard way! No matter what your band or musical project is, the same rules apply to all: If you want to get anything accomplished, you need to have a plan for practice. The first order of business at your very first band practice should be to determine some goals for your new band. Why are you all there together and what are you trying to accomplish? You might spend your whole first rehearsal trying to figure this out, but it's worth it. The answers you come up with here will guide your decisions. What are your long-term goals? 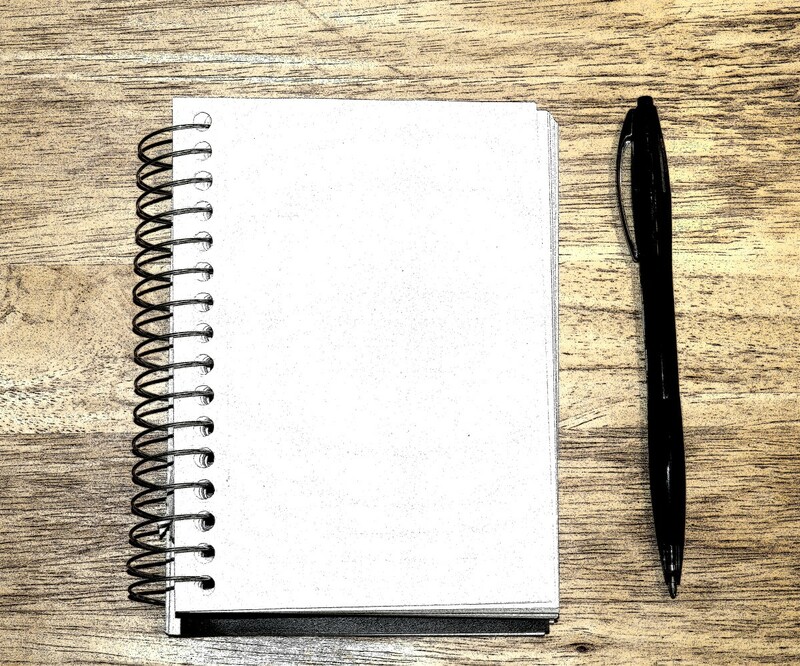 You may want to write a mission statement for your band. Are you trying to get a recording contract? Do you want to be the most popular local band in the area? Think of this as like a 5-year plan. Of course anything can happen in 5 years. You might reach these goals long before that, but the point is to get yourself focused. What are your short-term goals? Where do you want this band to be in the six months? What steps toward your 5-year goal can you accomplish by then? Revisit this goal every six months and adjust it depending on your progress. What are your immediate goals? These goals should lead up to the completion of your short-term goal. Figure out what you need to do next to make it happen. Write the band's first song? Learn a cover tune? Maybe even just get through one song without making a mistake! These small steps add up to the big picture, and these goals should be readjusted each rehearsal session. You should talk about it before you break up for the night so you're all on the same page next time you get together. What Long-term Goals Will You Work Toward at Band Practice? Just play some music and have fun. Obviously setting a schedule means determining which days of the week your band will meet and at what time. But it means more than that. You also need to establish a schedule for each rehearsal session. At the end of a rehearsal session I'd whip out a sheet of notebook paper and review what we accomplished for the night. We'd talk about things we needed to improve and revisit the next time. Those would go at the top of the paper. Next we'd decide our immediate goal for the next rehearsal. What do we want to accomplish next? This usually involved working on a new original song or learning a cover song, depending on the project. That would go next on the paper. Then we'd look at our set list. In original bands this meant playing through music we needed to polish up and get tighter. In cover bands this meant going through songs we hadn't played for a while, or thought we could do better. Finally, we'd usually schedule in some jam time every night. A small chunk of time where the band could let loose and have some fun. When the list was done I'd grab a piece of duct tape and slap it up on the wall, and that would be our schedule for the next practice session. This isn't intended to make band practice a chore. The point is to keep focus and move steadily in the direction of your goals. Otherwise, it's all too easy for band practice to end up being four guys standing there staring at each other, or messing around the whole time. What is Your Band's Practice Schedule? How often do you rehearse / intend to rehearse? Whenever we run into each other. Write it down! Make a practice schedule consisting of immediate goals you want to accomplish. So who makes these decisions, and takes the initiative in making practice schedules and establishing goals? Maybe you. Every group needs a leader. As a guitarist there is a good chance you are going to be looked upon to be that person. You will likely be the group's main songwriter, and much of the band's sound will come from you. 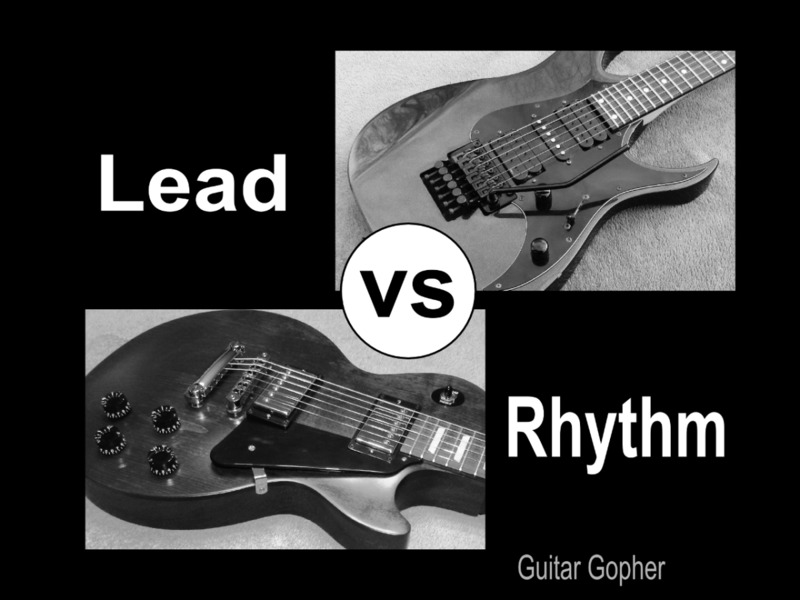 This isn't to diminish the roles of drummers and bassists, but in most forms of popular music the guitar is the most prominent instrument. So the question you have to ask is: Do you have what it takes to be the leader of the band? Do you even want to be the leader? The leader isn't a boss. Except in cases where the main musician is basically a solo artist, a band should be a democracy. In a band everyone must contribute, and everyone has a voice. The work of musicians who don't naturally gravitate toward leadership is just as important as those who do. The leader of your band should inspire and encourage the rest of the band. Often they are the band member with the strongest drive for success, or vision of what needs to be accomplished. If you have what it takes to be that person recognize it and assert yourself. If you don't, that's okay too. Your contributions are just as important, but know your role and do it to the best of your ability. Some of the best musicians in history have been the quiet ones in their bands. There can also be more than one leader in a band. If you are a strong personality in a band with another strong-minded person it is important to learn to be diplomatic, especially when you know you are right! Who is Your Band's Leader? It's me and I rule with an iron fist. It's me but I'm cool. It's not me but it should be! It's another band member but they are cool. It's another band member and they're a total jerkball. I don't think our band has a leader. You don't need an elaborate setup. A digital recorder with a microphone jack would be perfect for this, but even a good old-fashioned tape recorder works just fine. Recording your rehearsal session helps you to hear things you didn't while you were playing, and get a better idea of the overall sound of the band. You might find out you sounded tighter than you thought. Or you may discover you were horribly out of tune in a song or two, or completely flubbed a part and nobody noticed. It's hard to find the time to review these sessions, but someone should. Maybe nominate the person with the longest commute to work every day! Or, divide the session into four or five sections and everyone listen to part of it. Then, it's important to bring up any glaring issues at the next rehearsal. As a guitarist, I'd want to hear every second of each rehearsal. 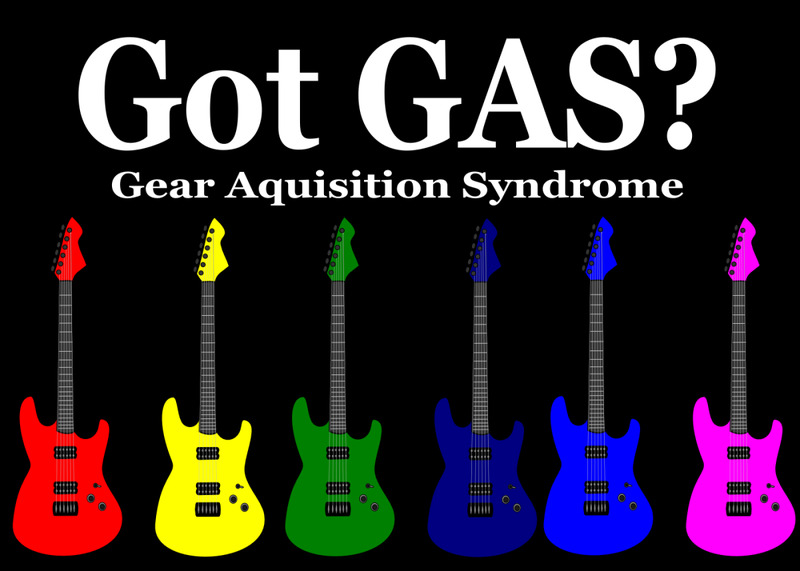 For one thing, it was a key part of my process for writing guitar solos. But just as importantly it gave me a clear idea of our strengths and weaknesses, and how to set those important goals I mentioned before. In some of the bands I played in we kept recordings of every practice session from the day we formed. It's fun to look back and see how far you've progressed. Do you review recordings of your bands practice sessions? No. Seems like too much work. No, but I'm thinking we should. You know that saying: Don't sweat the small stuff? That's a bunch of baloney, at least when it comes to band rehearsal. The small stuff adds up to the big stuff, eventually. As a band member you need to be aware of how your actions and rehearsal habits impact the rest of the group. If I'm in a band with you and you don't take the small things seriously that tells me a few things. If you show up late for every rehearsal without a good reason that tells me you don't respect me, the band, my time and our time together. Ten minutes late might not seem like it matters. But if we rehearse for two hours a night, twice a week, and you are ten minutes late each time, you've cost us the equivalent of almost nine rehearsals during the course of the year. Not that you'd make it a year. You'd be replaced long before that, by someone capable of showing up on-time. If you show up unprepared without working on anything we discussed the previous rehearsal that tells me you don't take the band seriously enough to work on it on your own time. Maybe you can figure it out as we go along, but again you are wasting the band's time. Do your homework. Show up prepared. If you are continuously out of tune, screwing up parts of songs, forgetting lyrics or messing around during rehearsal that tells me you are lacking some focus. You'd better reel it in. We all have weak spots, and some of us concentrate better than others, but if you are not making it a priority to overcome your problem areas you'll be finding yourself a new band. If you have personal issues leave them at the door. The bands I was in were always like families, and we helped each other whenever we could. We were always there for each other when there were personal problems, but we didn't deal with it at rehearsal. I can handle you as a friend if you are moody and unpredictable. As a band member I need to know I can count on you to take care of business. If you prioritize other things over the band, that tells me you should be doing those other things, not wasting time in my band. Of course things like family, close relationships, careers, faith and service should all come before the band. But if you are missing band practice for things like snowboarding, Dungeons and Dragons or dating we're going to have a problem. Does Your Band Have a Problem Member? Yes. There's one person who really boils my blood. Used to, but we kicked them out. Now that I think about it, it's me. Darn it! My whole band is a bunch of slackers. Guitarists are artists, first and foremost. But successful guitarists also have drive, determination and even a certain amount of business sense. How you arrange your practice sessions and manage your band will have a huge impact on how well you do. 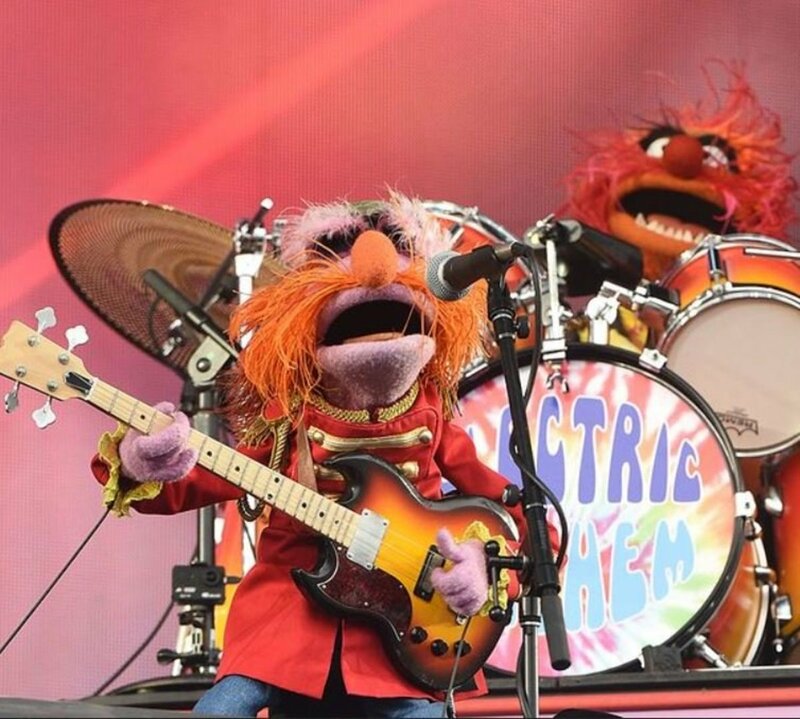 Even the craziest rock bands worked very hard to get where they are today. Did they have a certain amount of luck that ultimately made their careers? Of course. But they were also prepared for the opportunity when it came along. It's hard to imagine Motley Crue, the Rolling Stones or Slayer putting together practice sessions as I outlined in this article. Maybe they did, maybe they didn't, but whatever they did they put in the necessary blood, sweat and tears. Their work ethic and drive to succeed increased the chances of luck knocking on their door. So what about you? Will you rely on luck, or will you approach music as a business so luck has a better chance of coming around? Or, maybe you don't need luck at all. While it's probably required if you want a big recording contract, making it as a successful local band can be accomplished with hard work and determination. 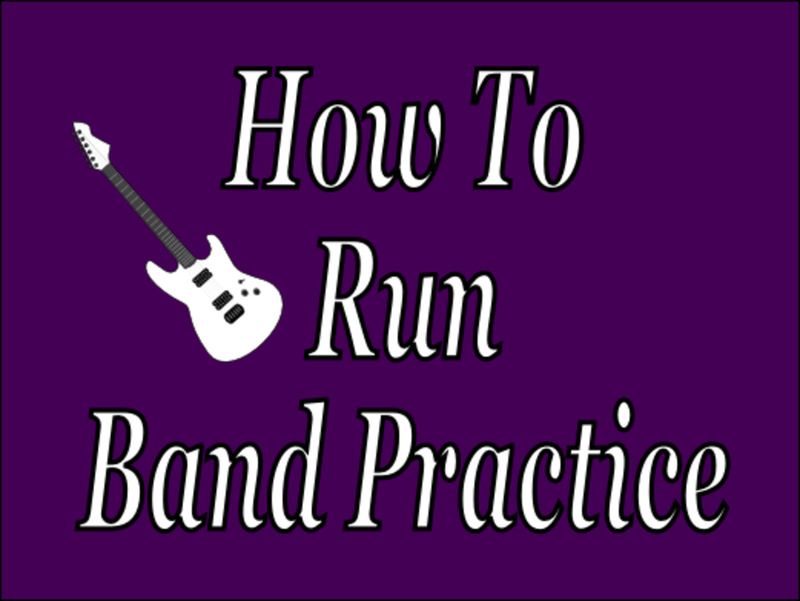 Whatever your path, I hope these tips for how to run a band practice were helpful! Very true, dave! A bad band leader can drive talented members out of a band for sure. If you have someone who has other priorities, this one might have noticed that this band is just a waste of time because of a bad organisation. As soon as you fix your band reheasal, that one might switch priorities! Glad you found it interesting, dailytop10. Playing in a band is indeed a ton of fun! I really miss those days. Thanks for the tips. I used to play bass with my friends. It wasn't actually a band since we lack someone who can truly sing. hahaha Nonetheless, I enjoyed every second we were together and having such a great time with music.